In January, Samsung announced plans to add iOS support to its Gear S2 Smart Watch, and it appears work on an iOS app is well underway. 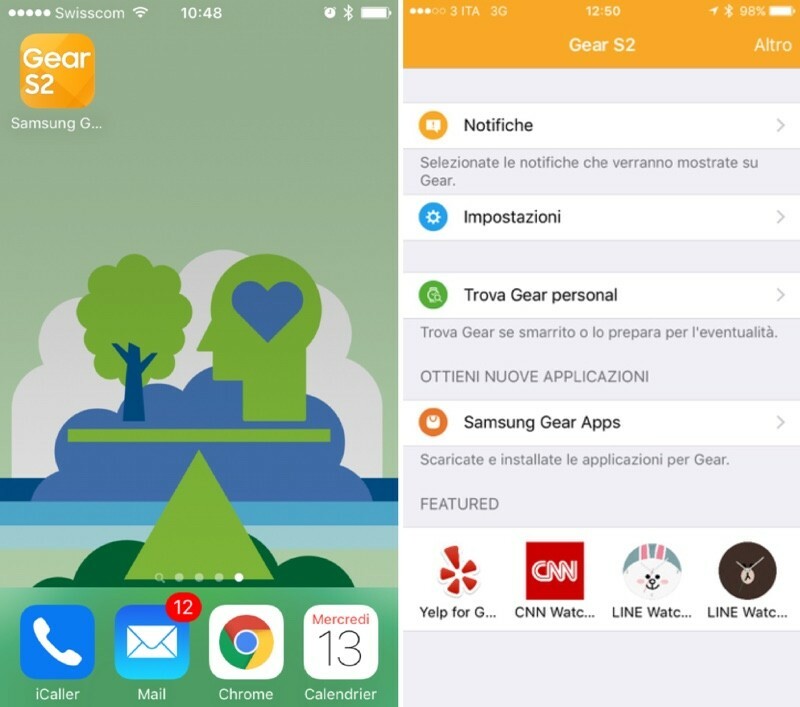 Screenshots of a beta Gear S2 app designed for iOS devices have been shared on the XDA forums, giving us a first look at the design of the app and the features that will be available. XDA forum members have also been able to download the test app and have provided details on its functionality. The Gear S2 iOS app will be able to deliver notifications to the smart watch, and it will be able to install and manage apps from the Gear store on the device. 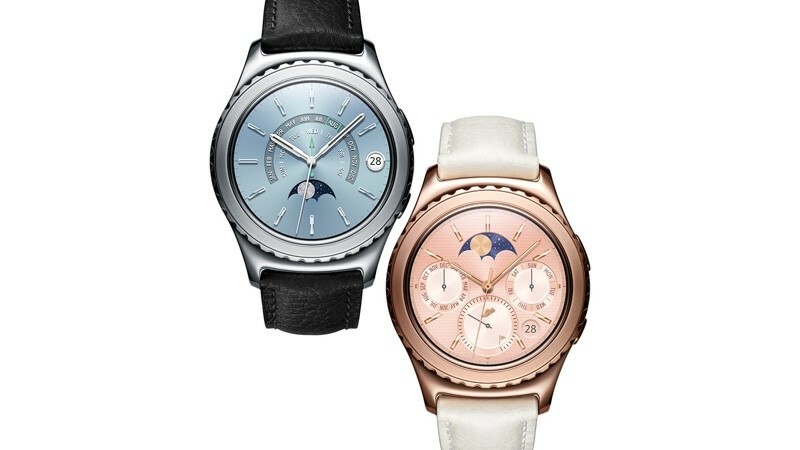 According to testers, while the Gear S2 can receive notifications from the iPhone, replies are not currently possible, and the Samsung Gear S2 Lite app has to be running in the background for the connection between the watch and the app to be maintained. The app appears to be in the developmental stages and Samsung has given no hints on when it plans to introduce a finished iOS app for the Gear S2. When the news was first announced, Samsung's only timeline was "later in the year." Currently, the Gear S2, which runs the Samsung Tizen operating system, is only compatible with Samsung smartphones, but when the iOS app is released, the Gear S2 will be able to compete with the Apple Watch on Apple's own platform. Introduced in August of 2015, the Gear S2 is Samsung's latest smart watch and the first to ship with a round display. While the first versions of the Gear S2 were originally only available in black or silver with matching rubber bands, Samsung introduced higher-end 18-karat rose gold and platinum plated versions to better compete with the more expensive Apple Watch models. Before all the bashing begins try to remember that cross compatibility is good for everyone. I wonder if this is forewarning of the discontinuation of the Apple Watch. It may be that Apple will now promote the Samsung Gear S2. It's certainly a much better-looking watch than the Apple Watch, sad to say. There zero logic in that. Apple Watch sold better (by a lot) and they have a second generation coming out in the fall. This makes about as much logic as saying that since the HTC 10 supports Apple AirPlay, that maybe it's a forewarning of the discontinuation of the iPhone. I own iPhones and Android phones, so I don't really have a dog in this fight. I understand some people like the rectangular design of the Apple watch, and I respect that; I happen to prefer the round (watch-looking) appearance of the S2. I love the Gear S2. I'm using my S2 now with a Galaxy S7 Edge. TBH, the iPhone vs Android phone experience is very similar, but the Gear S2 watch is AWESOME, and to me, has so many important features that the Apple watch is lacking. I have the 3G version of the S2 and hand-off between bluetooth and cellular functions on the watch are seamless. When I go running or biking, I no longer have to haul a clunky phone with me. The watch receives all notifications I'd get if I had my phone with me. I get GPS, maps, tracking of workouts (the S2 automatically figures out when you're running or cycling), incoming and outgoing calls and messages and (due to numbersync) all outgoing calls and messages effectively originate from my standard phone number. I can even reply to 3rd party notifications like Whatsapp (I have no idea how that even works, because I have no Whatsapp app installed on the watch). It's true that there are fewer apps for the S2 than the Apple watch, but there's only so much you can do on any watch screen. All the essential stuff is there and it's great to be able to leave your phone at home and still have a way of keeping in touch in case of emergencies. Honestly, there are so many cool features with this watch, I'd run out of e-ink with all the typing. But here's what worries me about this article: "the Samsung Gear S2 Lite app has to be running in the background for the connection between the watch and the app to be maintained". I used to have a Pebble Time, paired with my 6S Plus. The connection was constantly dropping (either because the BT connection would drop, or because iOS would kill the Pebble Time app - which always happened on reboot/restart). It just meant that I couldn't 100% rely on getting notifications on the Pebble. I strongly suspect the iOS experience with the Gear S2 is going to be similarly crippled (intentionally or otherwise?) as a result of Apple's high-walled garden. My experience with the S7 Edge + Gear S2 has been absolutely flawless. As much as I love Apple, I can't remember the last time I had a flawless experience with an Apple product. I have the 3G version of this watch with AT&T. I gotta say, I love it way more than my Apple watch. I can run with it and not miss a call (and dont have to bring my phone). It has GPS so it maps my runs accurately etc. This watch + AT&T number sync is pretty awesome. would not get it - but at least not a chunky square like the AW. except the Apple Watch is thinner than the Gear S2 with more usable screen area. Someone needs to post this when Apple Watch news comes out. It's a total bashing thread. How thick is the Gear S2? I thought someone said it was much thicker than the AW? If so, that alone would be a great way to get extra battery life. I will keep thinner and 36 hours of battery life over thicker. I get about 48 hours on my 42mm Apple Sport...and it takes about 3 hours to charge. I am happy with that. Just flashed it and works great. I love my Gear S2, battery life alone was worth it.